When editing and mixing your own podcast, you have a few tools available to you to make your episode sound the best i can be. 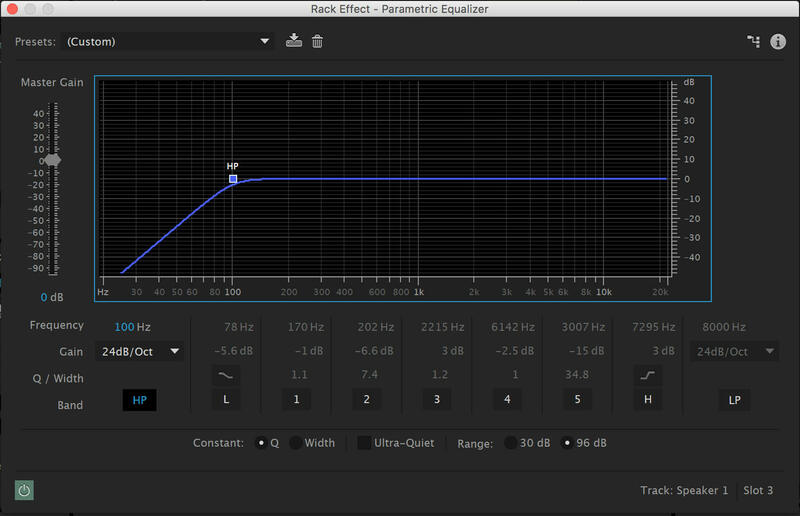 Today we’re covering one of the most common ones – Audio Equalization (EQ). EQ is a type of signal processing used to increase or reduce the amount of certain frequency ranges in an audio signal. In podcast mixing this is usually used to correct issues with the recording environment, make up for frequency biases from the microphone, or to correct/improve the speaker’s audio to be more clear or natural sounding. Flat EQ – no difference from the original signal. When you pull your audio in to whichever DAW (Digital Audio Workstation) – Audition, Audacity, Reaper, etc. – you’ll have a way to apply an effect plugin to the audio. 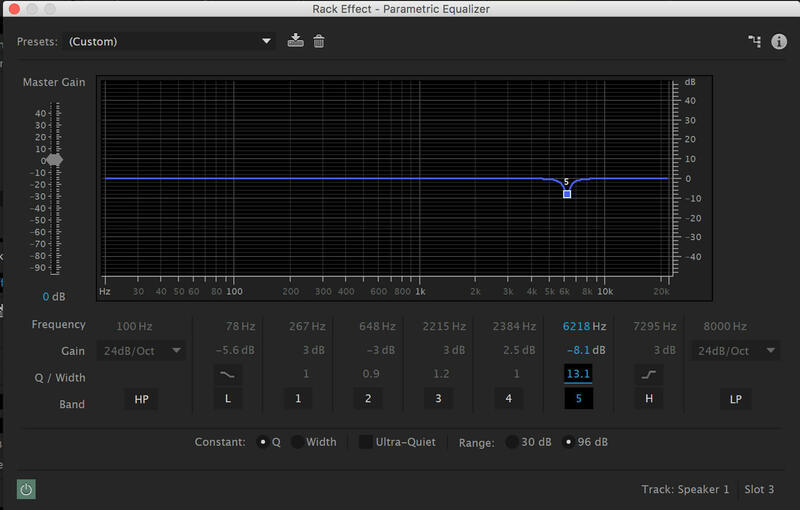 If it’s available, grab a parametric EQ. If not, you’ll probably have a graphic EQ. 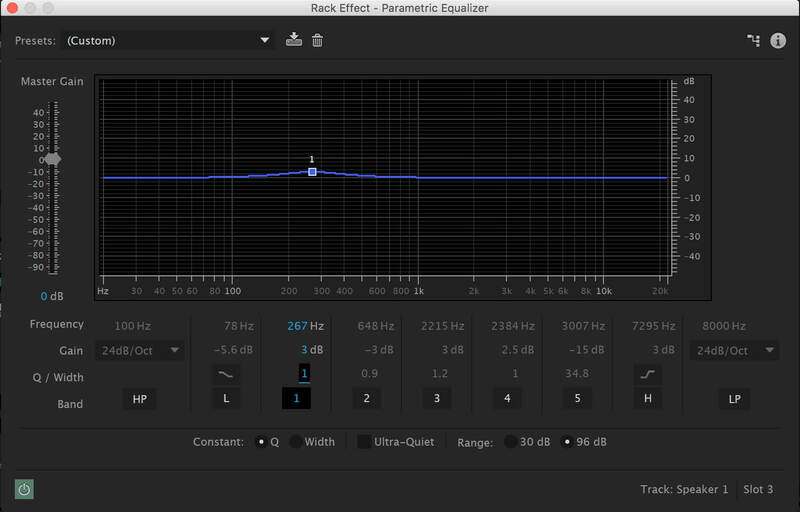 Parametric EQ – gives you control over the frequency, bandwidth, and gain. If it’s multiband, it’ll give you’ll have multiple groupings of frequency control vs just one. 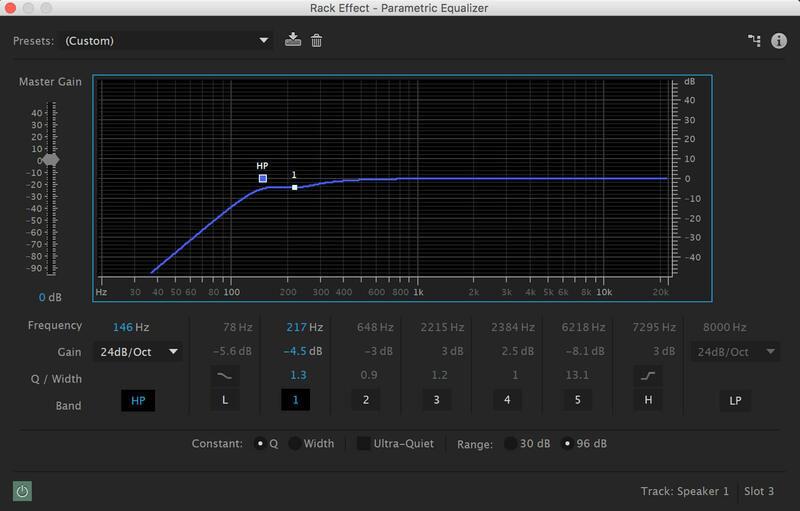 Graphic EQ – gives you access to pre-defined frequencies at a pre-defined Q. So you can only adjust the gain of the specific frequencies. If you only have a graphic EQ available to you, you can still match many of the following examples by just emulating the shape of the parametric EQ curve using the faders in the graphic EQ. Match the EQ curves of a Parametric for similar results. Frequency: The center frequency to be affected. Bandwidth (also known as range or Q): how far above and below the set frequency will your EQ will affect. A lower number will have a larger range. A higher number will have a narrow range. In general, you want to cut before boosting. This helps you know when you’ve fixed the problem. For example, your vocals aren’t clear enough. Instead of boosting frequencies in the upper ranges to bring it through. First, think about if there is extra frequencies preventing it from coming through on it’s own. For example, maybe the vocal is actually a bit boomy or muddy, and by cutting some of that low-end and lower-mid range out, then the vocal comes through. 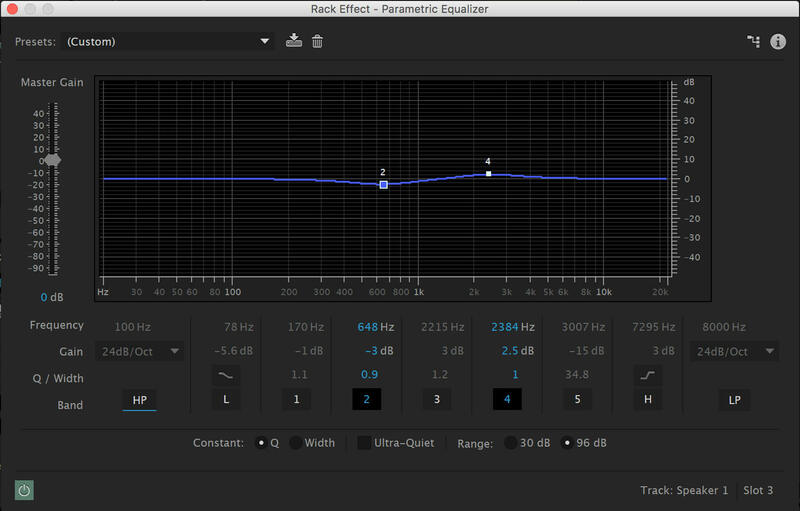 As mentioned earlier you’re usually going to be correcting issues with EQ in a podcast recording. Cut in mid-range, boost 1kHz – 4kHz. Proximity effect is the increase in low, bass frequencies caused by having the sound source too close to a microphone. High-pass 100Hz – 150Hz. Cut in 200Hz – 250Hz. Boost in 180Hz – 400Hz. Cut in 5kHz – 7 kHz range. The visual interface is helpful to use as a reference and the frequencies above are great as a starting point, but be sure to use your ears to confirm that you’re hearing the desired effect.